Hurry!!!!!! Right now, you can click the above image and score up to $250 in FREE gifts! I LOVE finding FREEBIES like this. Its a GREAT deal to share with all of your friends that have babies and or that are pregnant. Be sure to come back and let us know what you score! 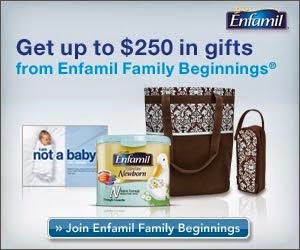 This post was written on behalf of Enfamil and may contain affiliate links.